With the Computer Support WordPress Theme you will be able to harness the true power of the internet. With this professional template any repair shop can extend his or her message beyond what is thought possible. Expand the horizon, of your highly valued clients and yourself! The best themes are themes that actively support both the business and the web designer that use them. 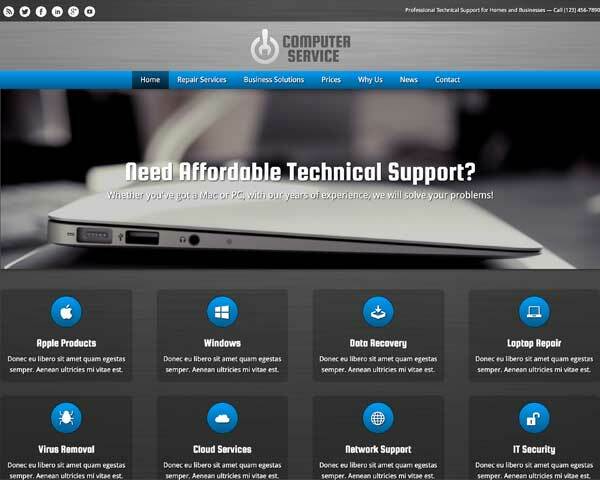 With the Computer Support WordPress Theme you're sure you get the best for both these worlds. 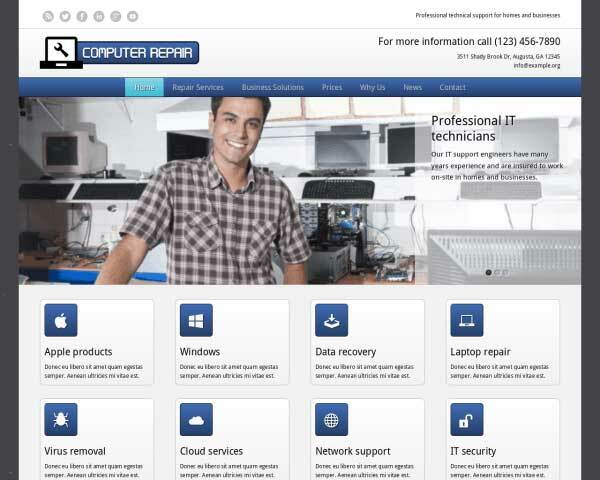 The theme is packed with business driven features that make absolute sense for repair technicians. 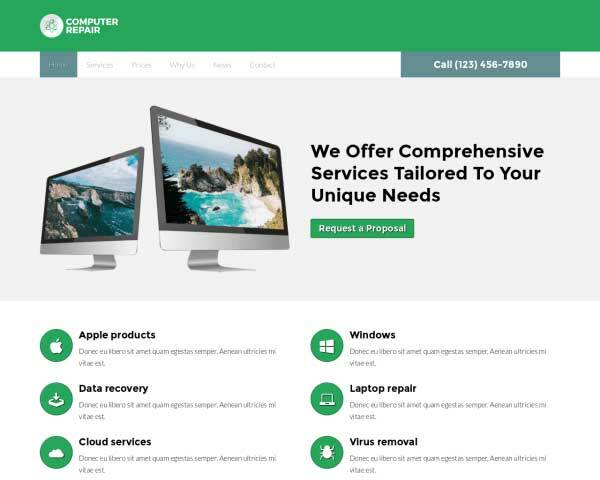 For the designer using it there's no better way to get a computer repair business online quick and professionally. A highly advanced drag 'n drop front-end UI which let's you easily configure all of the content. Content which is there upon activation thanks to the turnkey installation. Both are combined in a mobile package to create the perfect user experience no mater what the device. 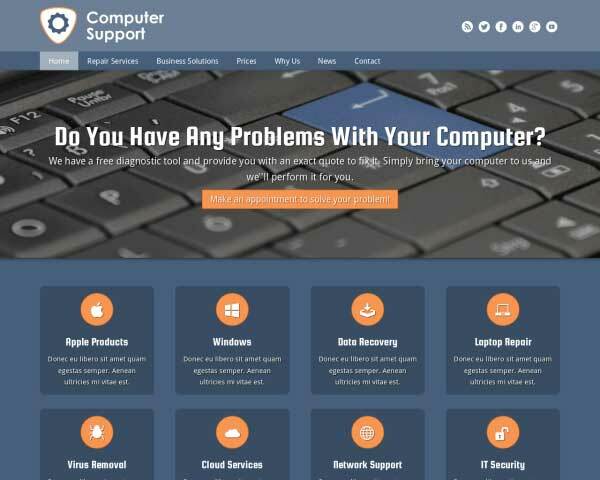 This is the definitive Computer Support WordPress Theme. Your accreditations as a computer service expert and affiliations to certain industry specific organizations can be shown with the help of trust icons. Visitors can request a price quote from you. On strategic places in the theme they will be redirected to the page where the Price Quote Request form is integrated. 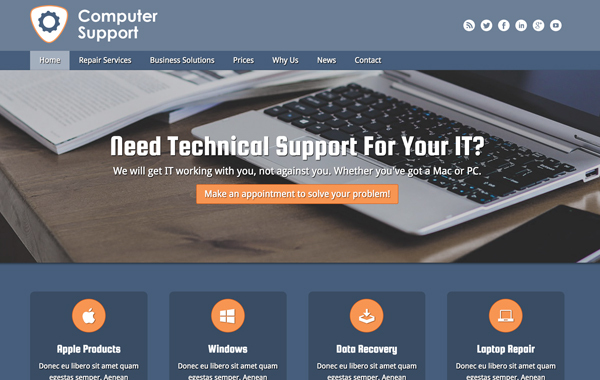 The Computer Support WordPress Theme includes a nice blog section. A very nice tool to keep your site's visitors up-to-date and use it for online marketing and search engine optimization. We've included a handy tool to quickly set up the various rates and services you offer. Just edit what's already in place to customize and include your rates. 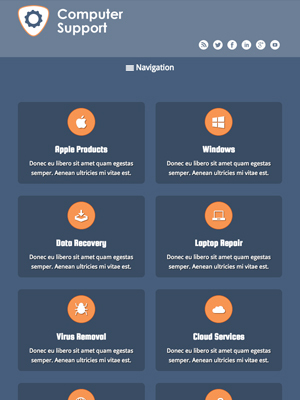 When visitors move away from the homepage a sidebar takes over the service overview section. That way people can still easily browse your website looking for the right info. On the About Us page you have placeholders that can be cloned to incorporate short staff member biographies. It makes for a more intimate user experience that increases conversions. Especially in the computer service business chances are high that you already know the answer to the most frequently asked questions. So why not put them on the site with an FAQ? 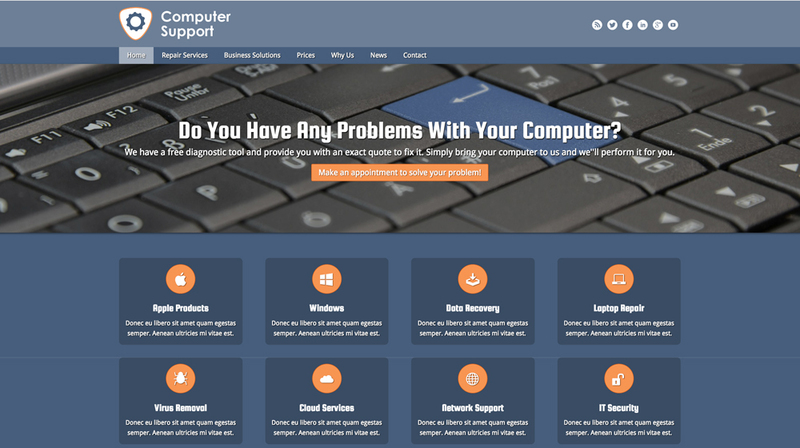 There's a separate section on in the Computer Support WordPress Theme for testimonials. And we've also included them on the homepage. However, you have the ability to place testimonials anywhere you like. 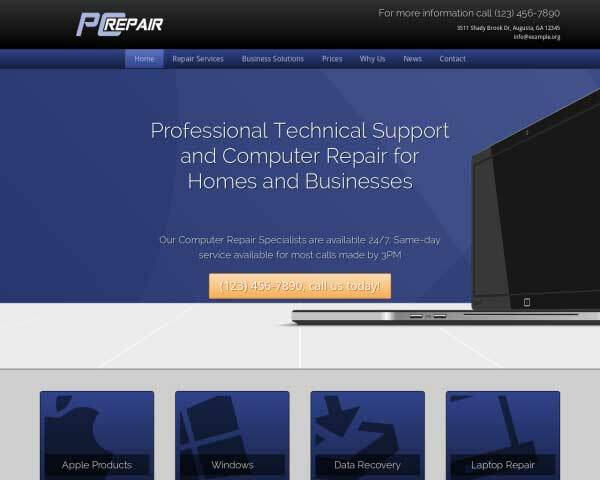 Visitors to your computer repair website will use all types of browsers and handheld devices to view your pages. Make sure that your website makes a great impression at every screen size with the responsive Computer Support WordPress Theme. Its mobile-optimized design adjusts the layout of your text and photos to display neatly and work perfectly on all smartphones and tablets. No extra coding or plugins are required! Mobile visitors will enjoy the added convenience of simply tapping your phone number to dial or tapping your email to send a message.